DrTim's First Defense was developed to help fish adapt to new environments by assisting the fishes' natural immune system. Changing the environment of a fish causes stress that robs fish of essential nutrients and can weaken their immune system. 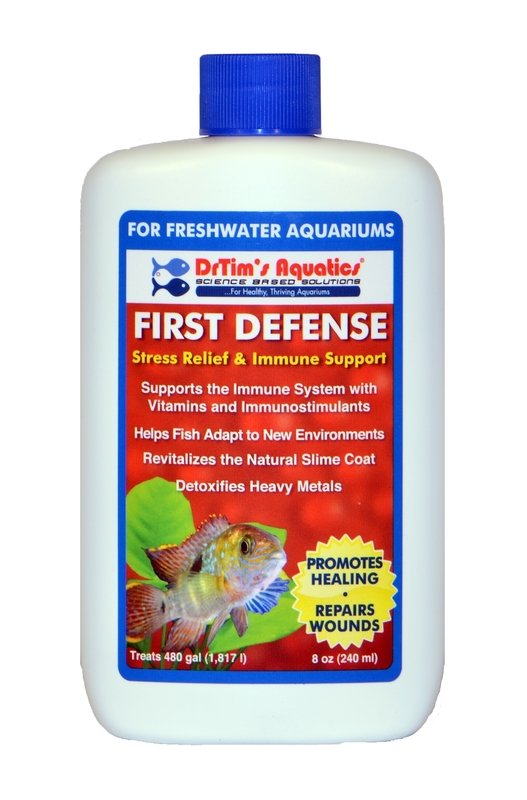 First Defense is scientifically designed to provide stress relief and support the immune system, helping fish cope with stress due to bagging and shipping from the store to your tank, water changes, new fish additions, disease treatments, and other environmental changes. yes it helps ,i use it after water changes.i plan to get more before i run out.